The psychoanalysis articles section of the All About Psychology website forms part of a wider initiative to make important, insightful and engaging psychology publications widely available. 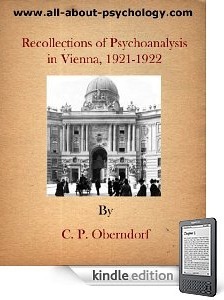 This particular Kindle collection consists of classic articles and book chapters concerning psychoanalysis in general as well as contributions from leading proponents of psychoanalysis in America. 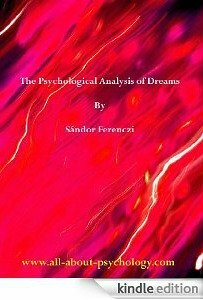 Originally published in 1910 this classic article by leading psychoanalyst Sándor Ferenczi outlines what the author sees as the more essential explanations and the most valuable facts within Sigmund Freud's theory of dreams. Originally published in 1944 as part of a collection of essays on psychoanalysis, this classic article explores aspects of Klein's seminal work on the psychoanalysis of children, in particular the foundations upon which a child's super-ego is built. 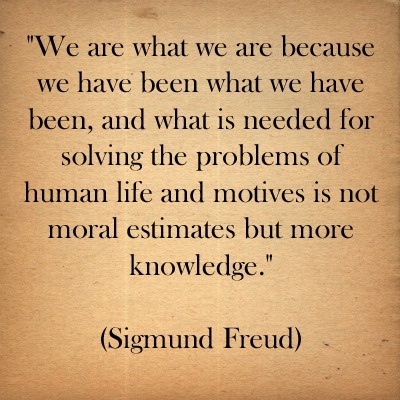 "Sigmund Freud was born a hundred years ago. That simple fact is being commemorated today in most countries of the world from India and Japan to Canada and the Argentine. Plainly such commemoration is a token of Freud's significance, and I shall try in a few words to indicate the nature of that significance, and also to describe what manner of man he was." 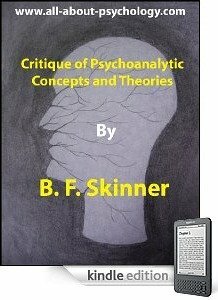 Classic article originally published in 1954 in which B.F Skinner critically evaluates Sigmund Freud's contribution to Western thought. In particular Freud's attempt to infer how the mental apparatus is constructed and what forces interplay and counteract in it. 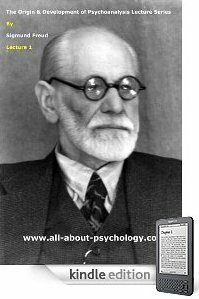 The Lecture Series on the origin and development of psychoanalysis by Sigmund Freud arose from an invitation Freud accepted from American psychologist G. Stanley Hall, to discuss his views on abnormal psychology. The lectures were timed to coincide with the celebration of the Twentieth Anniversary of the opening of Clark University, Worcester, Massachusetts in September 1909. 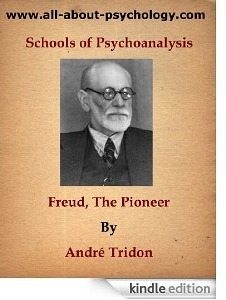 Freud delivered a total of five lectures. This is the first of those lectures, the content of which includes the contribution of Dr. Joseph Breuer and case studies on the psychology of hysteria. 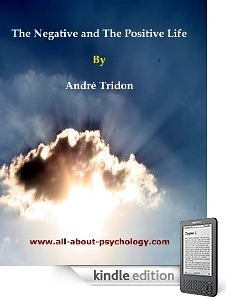 Widely considered the foremost psychoanalyst in America, André Tridon was a prolific writer on psychoanalysis in the early days of the discipline. 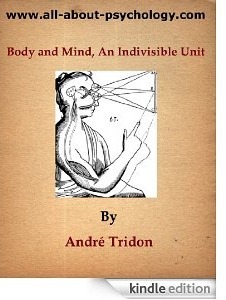 This short treatise on the body and mind was originally published in 1920 as a chapter in the book Psychoanalysis and Behavior. 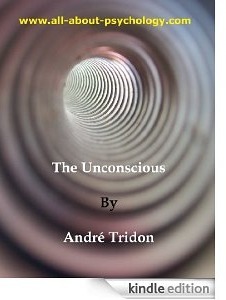 This concise treatise on the unconscious was originally published in 1920 as a chapter in the book Psychoanalysis and Behavior. 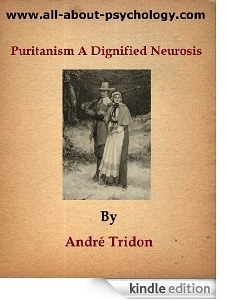 Originally published in 1920 as a chapter in the book Psychoanalysis and Behavior, this particular article discusses puritanism within the context of human sexuality. 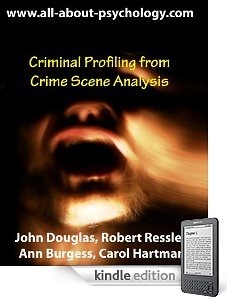 Among the topics under review are egotism and destructive persecution. 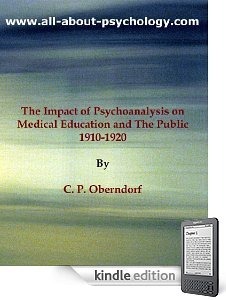 First published in 1920 as a chapter in the book Psychoanalysis and behavior. Among the issues discussed in relation to Self-Knowledge Through Dream Study are how to remember dreams, emotion in dreams and useful nightmares. 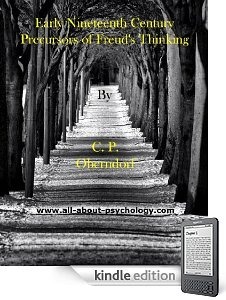 This fascinating critique was first published in 1920 as a chapter in the book Psychoanalysis and behavior. 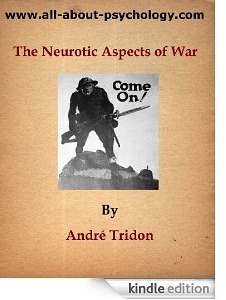 Among the issues discussed in relation to the neurotic aspects of war are: Displays of cruelty, the lure of the uniform, patriots and traitors, sexual license and neurotic death threats. 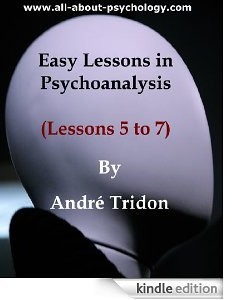 Originally published in 1921 the easy lessons series was designed to provide the reader with a highly accessible primer of psychoanalysis presented in simple language. This publication showcases lessons 1 to 3. 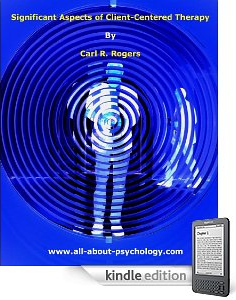 Originally published in 1921 the easy lessons series was designed to provide the reader with a highly accessible primer of psychoanalysis presented in simple language. This publication showcases lessons 5 to 7. Originally published in 1921 the easy lessons series was designed to provide the reader with a highly accessible primer of psychoanalysis presented in simple language. This publication showcases lessons 8 to 11. 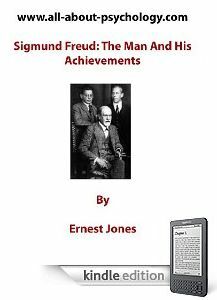 First published in 1920 as a chapter of the author's book Psychoanalysis and behavior, this is a succinct, clear and concise account of Freud's role in the history, scope and influence of psychoanalysis. 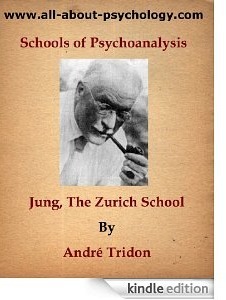 First published in 1920 as a chapter of the author's book Psychoanalysis and behavior, this is a succinct, clear and concise account of Jung's role in the history, scope and influence of psychoanalysis. 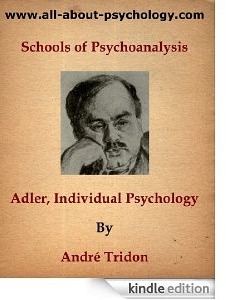 First published in 1920 as a chapter of the author's book Psychoanalysis and behavior, this is a succinct, clear and concise account of Adler's role in the history, scope and influence of psychoanalysis. 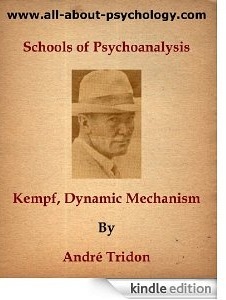 First published in 1920 as a chapter of the author's book Psychoanalysis and behavior, this is a succinct, clear and concise account of Kempf's role in the history, scope and influence of psychoanalysis. Can We Sublimate Our Cravings? Originally published in 1920 as a chapter in the book Psychoanalysis and Behavior, this particular article addresses the concept of sublimation in relation to human sexuality. Among the topics discussed are sexual cravings, Madame Bovary and parasitic cravings. 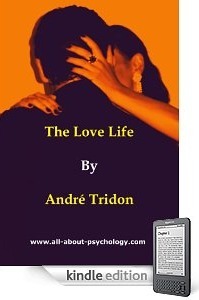 First published in 1920 as a chapter in the book Psychoanalysis and Behavior, this particular article discusses love in the sense of a physical attraction and stimulation. Among the issues addressed are the choice of a mate, love at first sight, neurotic jealousy and fetichism. 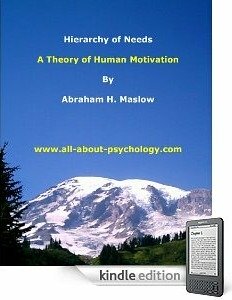 First published in 1920 as a chapter in the book Psychoanalysis and behavior, this particular article addresses the question of why so many people lead a negative life. Among the issues discussed are inferiority, withdrawing from reality, the craving for safety and neurotic superiority. 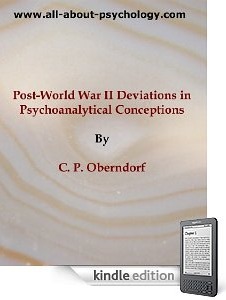 Originally published in 1920 as a chapter in the book Psychoanalysis and behavior. 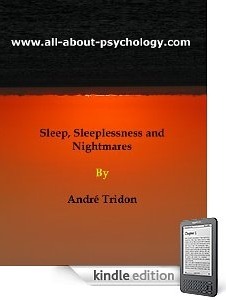 Among the issues discussed in relation to sleep, sleeplessness and nightmares are dream symbols and anxiety dreams. C.P. 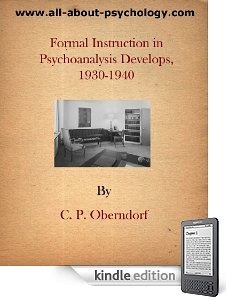 Oberndorf was secretary (1927-1930) and later president (1936) of the American Psychoanalytical Association, all of his articles listed below provide a great read for anybody interested in the history and influence of psychoanalysis.